March is a great time to visit the parks and attractions in Orlando, since crowd levels will be low during most of the month. 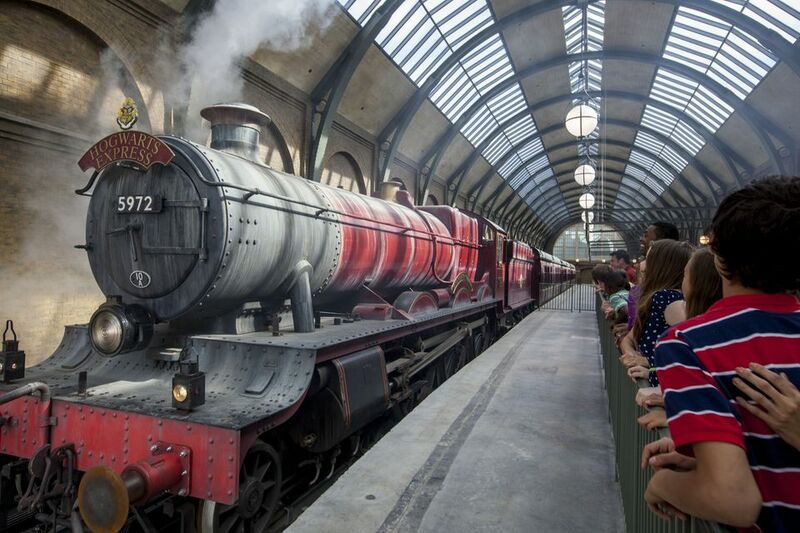 If your visit falls during spring break, however, you should expect the hotel rates to increase and the parks to get more crowded, particularly popular areas like the Wizarding World of Harry Potter at Universal Orlando. Expect the weather in Orlando to be warm, but not overly hot just yet, meaning it is comfortable weather to enjoy rides and attractions without being too hot or cold. Spend some time exploring the "outside" portions of Universal Orlando and Islands of Adventure, but pass on watery rides like Dudley Do-Right's Ripsaw Falls in the morning and early evening or you'll end up too chilled to enjoy the ride. Plus, Orlando doesn't get much rain during March (averaging 3.79 inches of precipitation). Pack a jacket for chilly evenings, but you may find you never need to remove it from your suitcase. During the days—which are mostly sunny—you'll be comfortable in jeans and a T-shirt. If you're going on roller coasters, you may want to bring a sweatshirt as the wind can get chilly when you're rocketing down the track. You'll also want to pack tennis shoes as you'll probably be walking around a lot. If you plan to visit Orlando in March, you'll catch many annual events, including Universal Orlando Resort's Mardi Gras celebration and Walt Disney World Resort's Epcot International Flower & Garden Festival. Mardi Gras: One of the biggest parties of the year at Universal Orlando is in full swing this month. Expect to sample a taste of New Orleans as you watch a dazzling array of parades, shows, and musical events. Sample authentic Cajun cuisine and join in the party on select nights this month. Mardi Gras is free with your park admission, so you'll be able to join the party without purchasing an extra ticket. Fat Tuesday: If you're over 21, head to Universal's CityWalk for this once-a-year celebration featuring drink and food specials, access to Pat O' Brien's, stilt walkers, and other performers. Spring Break Week: The clubs at CityWalk will be bustling with activity mid-month as spring break visitors arrive. Expect plenty of crowds and be prepared to party at your favorite night spot each evening during this popular vacation period. St. Patrick's Day: Visit the 3 Broomsticks at the Wizarding World of Harry Potter and raise a glass of Butter Beer to celebrate this classic Irish holiday on March 17. Use Universal's "Front of the Line" pass to speed by any lines you encounter this month. This option is particularly useful when the parks are crowded. Pack sunblock even if the temperature is moderate. You can still get burned in March, even if the day is not a hot one. Visit busy attractions like The Amazing Adventures of Spider-Man and Harry Potter and the Forbidden Journey (housed in Hogwarts) first thing in the morning to avoid long lines during Spring Break. Celebrations for St. Patrick's Day and Fat Tuesday will bring more crowds to the Universal CityWalk club, so be prepared if you are visiting on these March holidays. If you are not attending the Mardi Gras festivities, avoid the parade route, it will be very crowded. For those traveling to Orlando by car, double check the schedule for Daytona's Bike Week festivities, held in the early part of the month. Bike Week will cause some travel delays if you need to pass through the Daytona area.